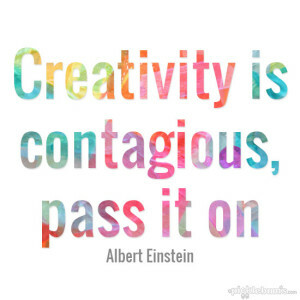 Who wants to amp their Writing Creativity to the Max? Who wants to tap into their imagination to create compelling characters and intriguing stories that leap from the page? 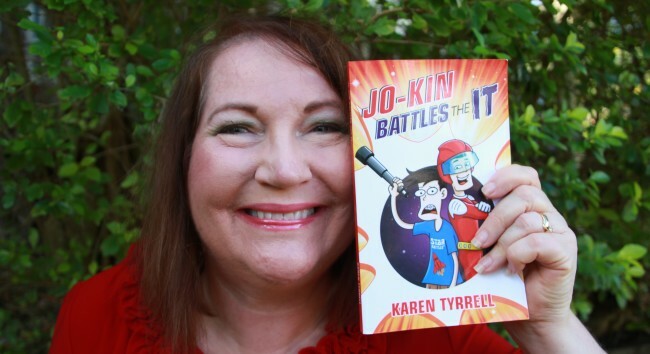 I, Karen Tyrrell made a vow to complete two NEW children’s novels which will empower kids to live strong … on my ‘Achieve your Goals in 2016’ page. 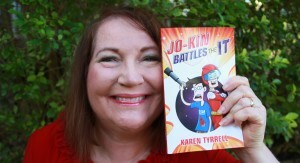 I’m working on the sequel to my *5 Star humorous scifi adventure Jo-Kin Battles the It and a brand new book series. 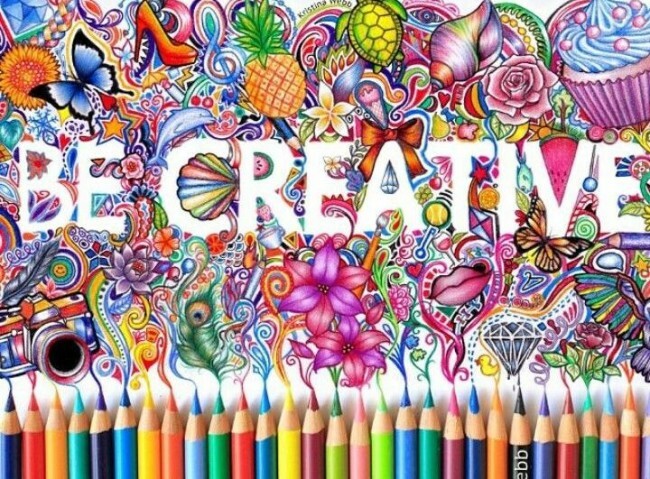 I’m tapping into the right side of my brain, boosting my creativity, utilizing this FREE resource. Creativity is the divine spark that pulsates within me, permeating my mind with fresh ideas when I’m least expecting. I must train my brain to be more creative, more productive, while staying focused on my writing goals … How? 1. Write every day, training your brain to create new words. ‘Even if you just write rubbish, until the good things come.’- Kim Wilkins author via Samantha Wheeler author. 3. Plan your next scene or next chapter before you go to bed. Let your brain ‘solve’ the story problem as you lie dreaming in your bed. Wake up energized, ready to write. Scribble down your dreams on waking. Take a notebook wherever you go to jot down new ideas. 4. Reflect on your inner-most emotions and problems, scribbling them down in your journal. Releasing blocked emotions will help ‘unstick’ any writers block. 5. Take a brisk hike every morning, percolating new ideas. Work out what your character will do next. 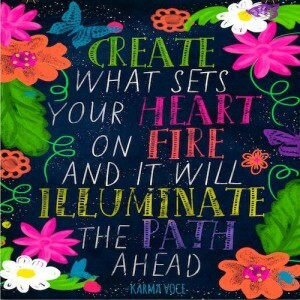 Feel your way through a ‘story problem’ with your intuition … and visualize the solution. 6. Meditate every day… Einstein did. Meditation helps to connect both sides of the brain. Let your mind ‘wander’ during the day … Follow your curiosity. 7. Stimulate the brain with reading new books and playing mind games and puzzles … employ lateral thinking to kick-start those brain cells. Multi-task ─ helps to cross fertilize projects. 8. Create mind maps. Brainstorm ideas, problems and solutions. Think …WHAT IF? How? When? Where? Who? Why? 10. Digest brain foods like nuts and Fish Oil. Hydrate yourself with plenty of water. Get enough of daily restful sleep. Working on multiple projects works for me … If I run out of writing ideas I switch to another project. I’m forever regenerating my ideas, enhancing my characters and plot lines until they resonate within me. How do you AMP your creative powers to the MAX? Great tips for an emerging author Karen. I’m pleased to find that I do nearly all these. I can’t do 5 as I have a muscle disorder. I potter in the garden instead. 2 is a great idea. It might help me solve some issues I’m having with a couple of my stories. 8 would also help. I know how to do mind maps, I have just not employed them in my writing. Thanks for dropping in to comment on my creativity tips. Thrilled they are helpful to you. Every tip here I can vouch for through my personal experience. I use mind maps when I need more scenes and challenges.